Lock in a great price for Rydges Darwin Central – rated 8.6 by recent guests! My room was well looked after (spotless!). Bathroom was so clean and replenished. Good location and the lobby and restaurant were great. We were passing through for one night and it was an inexpensive place to stay. The staff were efficient and courteous, the location was perfect and there was ample parking nearby. The room was big spacious! The bathroom was also spacious and the cleanliness was amazing!! Location is perfect and the staff were all lovely and helpful. The hotel is located perfectly - right in the middle of town and close to bars, restaurants, shops and the beach/bay. The room was clean, a decent size and nice and quiet - despite being close to the lift. Plus I liked the way they parked my car for me each night. The breakfast was very good. In a great location. The room had two double beds and plenty of room. The room was very clean. As the name would suggest it's central location. Good place to stay on business as close to everything, secure parking and reasonably priced. Amazing location for the hotel, it was right in the perfect location, Other than this the room was clean, the room was spacious and worked fine and I would definitely stay here again in the future. G.
After I alerted staff, some days later, they reimbursed me. Luckily I check my credit card statements or I would have never known I was double charged. Rydges Darwin Central This rating is a reflection of how the property compares to the industry standard when it comes to price, facilities and services available. It's based on a self-evaluation by the property. Use this rating to help choose your stay! 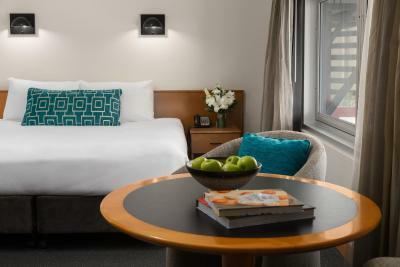 This modern boutique hotel is located in the heart of Darwin city center. It offers beautifully furnished rooms, plus a restaurant, cafe, 24-hour room service and an outdoor plunge pool. Each air conditioned room at Darwin Central Hotel includes a private bathroom with hairdryer and toiletries, an LCD TV with pay-per-view movies, and a dining area. Some rooms also have a kitchenette. Waterhole Restaurant offers a diverse breakfast buffet selection and menu options. Salvatores Café serves Italian cuisine in a casual atmosphere. Room service is available throughout the day. Darwin Central Hotel is within easy walking distance from cinemas, theaters, nightclubs, restaurants and shopping. The Esplanade, on Darwin’s waterfront, is only 650 feet away. Darwin CBD is a great choice for travelers interested in hot weather, nature and friendly locals. This is our guests' favorite part of Darwin, according to independent reviews. 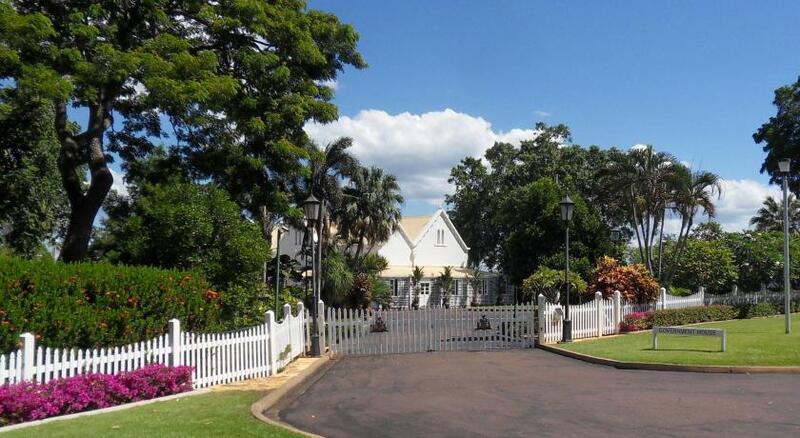 This property is also rated for the best value in Darwin! Guests are getting more for their money when compared to other properties in this city. When would you like to stay at Rydges Darwin Central? Spacious and comfortable room with LCD TV and private bathroom. Please note that the rate is based on 2 guests. Maximum occupancy is 3 guests (see Hotel Policies). Private parking is available on site (reservation is not possible) and costs AUD 19 per day. This corner room provides modern furnishings and panoramic views of Darwin city. Please note that the use of the sofa bed in this room will be subject to the extra person charge regardless of the number of occupants (please see Hotel Policies for details). Includes kitchenette facilities and a variety of kitchen utensils for those who want to dine in the comfort of their room. Spacious room with LCD TV, work desk and dining area. Hotel surroundings – This neighborhood is a great choice for travelers interested in hot weather, nature and friendly locals – Check location Excellent location – show map Guests loved walking around the neighborhood! House Rules Rydges Darwin Central takes special requests – add in the next step! A AUD300 damage deposit is required on arrival (around USD214.01). This deposit will be fully refunded 7 days after check-out, as long as there isn't any damage to the property. Up to two children under 12 years are charged AUD 25 per person per night when using existing beds. Rydges Darwin Central accepts these cards and reserves the right to temporarily hold an amount prior to arrival. You must show a valid credit card upon check in. This credit card must be in the same name as the guest's name on the booking confirmation. If you will not be able to provide the credit card used at time of booking upon check-in, please contact the property prior to arrival using the contact details found on the booking confirmation make alternate arrangements. Please note that there is a 3% charge when you pay with a American Express and Diners Club credit card. This hotel is a 100% nonsmoking property with no smoking allowed throughout the whole complex. Any guest found in breach of the hotel's nonsmoking policy may be charged additional cleaning fees (AUD $300 minimum charge) and additional compensation charges for the hotel’s loss of revenue. Please note that valet parking is subject to availability at the time of arrival and cannot be guaranteed. The rate for valet parking is subject to increase without prior notice. There is capacity for a maximum of one car per room. Guests planning to arrive by car are welcome to contact the property for more information using the contact details on the booking confirmation. A damage deposit of AUD 300 is required on arrival. That's about 214.01USD. This will be collected by credit card. You should be reimbursed within 7 days of check-out. Your deposit will be refunded in full by credit card, subject to an inspection of the property. The only minor issue was that there was no bar at the hotel. The shower heads were a little old and broken but still worked fine, and our room seemed a little dark as one of the bulbs was broken but was not a big issue at all. The room was so cold ended turning air con off. the bed was cold. Would have preferred a light doona than the fleece blanket which had a slight musty smell. After booking and paying, 3 days later, the same amount was taken from my credit card. It’s centrally location and easy to get any where. Putting $100 as a safety deposit. I mean my card details were enough i think.